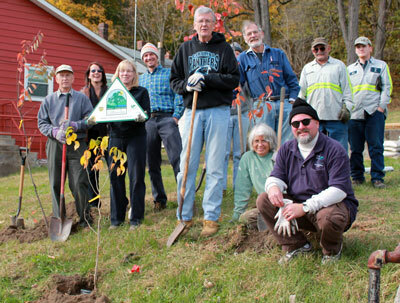 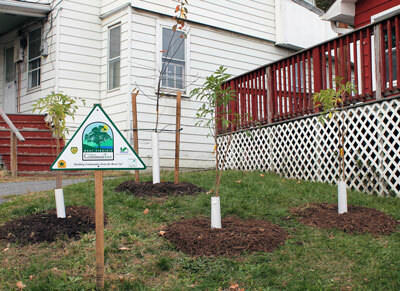 On November 5th, 2013 the Town of Bath Tree Board worked with local volunteers to plant 24 flowering trees and shrubs along both sides of the Bath Town Hall. 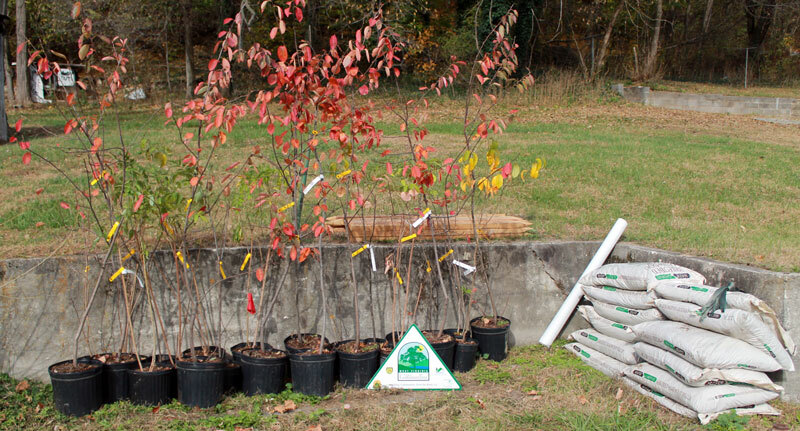 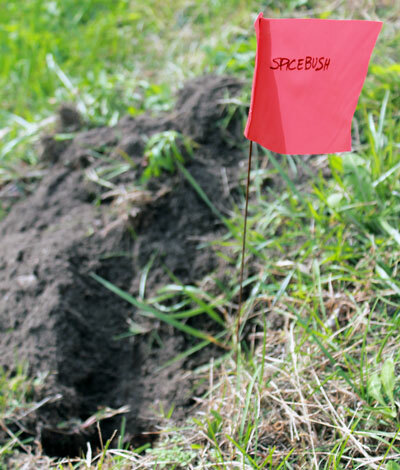 The trees and shrubs – a mix of serviceberries, hazelnuts, spicebush, and elderberry – will help prevent soil erosion on the slopes, provide habitat and food for wildlife, and increase community aesthetics. 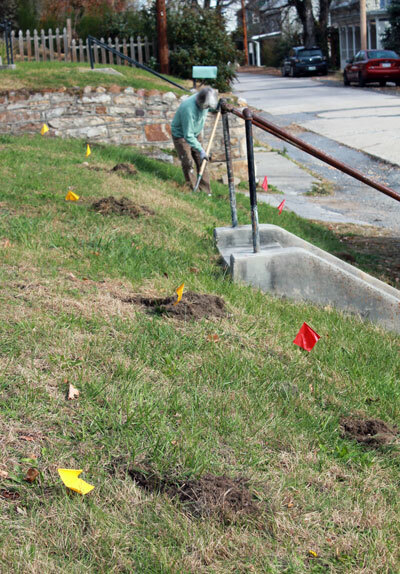 The volunteers included Town employees, members of the Morgan County Master Gardeners, the Town of Bath's Tree Board, Fox Glove Gardening Club, the Warm Springs Water Shed Association, a Region 9 volunteer, and a volunteer from the West Virginia University Extension Office. 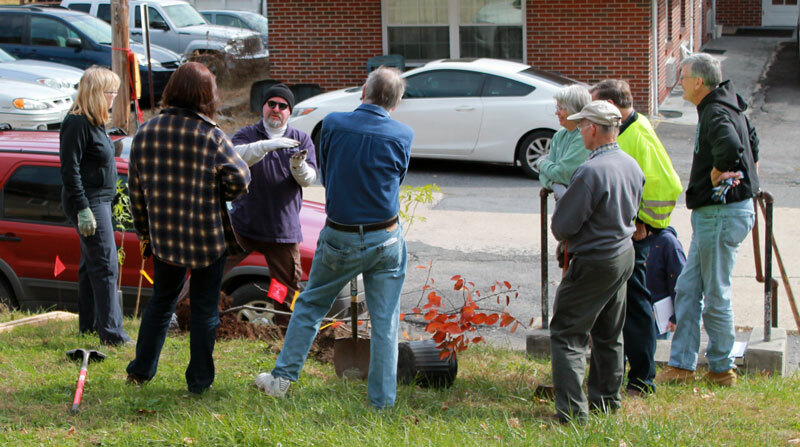 The volunteers ranged from professional landscape design architect and other experienced planters to beginners who had no experience in planting town trees. 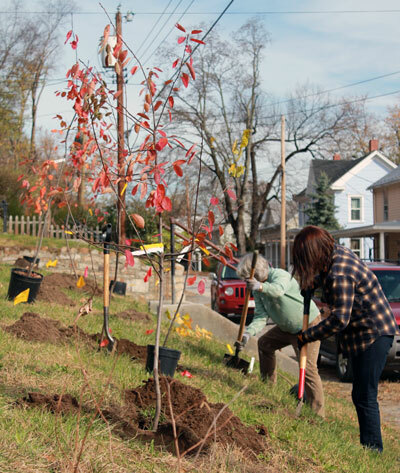 But many of the volunteers had been involved in other efforts to plant trees throughout the area, including last year's WV CommuniTree project at Greenway Cemetery.